This week we’re marking Pension Awareness Day. An awareness event now in its 4th year, the initiative promotes the importance of saving for the future and engaging the UK’s workforce with their retirement saving (called Pension Awareness Day, events now run throughout the week; 10th to 15th September this year). A brilliant initiative in my opinion, especially when you consider that half of the UK is not saving enough for retirement, highlighted in research by Resolver earlier this year. Understanding the pension and good communication go hand in hand, and I believe once this is in place, people won’t put off what they should be doing today and they’ll understand the value of saving towards their retirement. 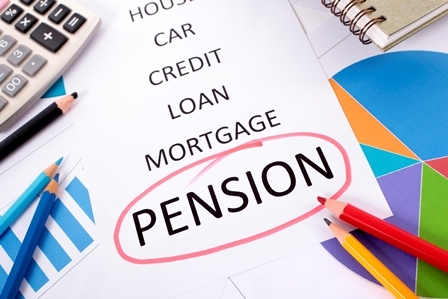 So let’s talk about pensions and engaging your employees with your pension offering! Pensions by their very nature can be complicated, but in my opinion, employees should be shielded from this; that’s what HR, pension managers and pension advisers are for! When communicating with your employees, keep the language simple, share information using plain English. Give your employees the information they need to know, making the information relevant to them. As with most things we invest time and money in, we want to know what’s in it for us, or what we might get in return. The same can be said of pensions. Don’t necessarily talk about the now, share information about the end result; the lifestyle your employees might want in retirement and how they can achieve this. The pension has a bit of a grey and boring reputation, it’s definitely time we changed that! Where possible utilise a multi-channel communication approach and make your messaging more interesting and fun! You could create a colourful mascot, interesting imagery or punchy slogans that capture the attention of your employees. In my opinion, face to face communication is the best form of communication, but you still need to drive your employees toward a pension presentation or meeting, and implementing the above will definitely help. A multi-channel communication approach; printed material, online resources or video and animation may also help. In addition, if you have a diverse workforce, across a number of locations, face-to-face communication may not be feasible, so again a multi-channel communication approach and online comms could be the better option. By using examples to get your message across it can make your information clearer and easier for employees to understand. And an example often resonates with them. An example may be the difference in making an employee understand your pension and if applicable take action now! I have a real passion for improving peoples’ financial futures and have always believed poor communication leads to confusion, from there to fear, and then to an inability to take good actions. By making things easy to understand and then easy to do, you create a great outcome for your employees and it can bring about huge advantages for employers too. There are a few take-aways here, but where possible, utilise it all – I don’t think you can ever tell employees too much, so long as it’s done in the right way! Mark Bingham is a Partner at employee benefits consultants Secondsight. He is a soon to be a published author, with his debut book; Comms: moving your benefits story on, set for release later this year.